While Sony Alpha a6000 is often compared to Sony Alpha a5100 and Sony Alpha a6300, some people still wonder if Sony NEX 7 is a viable alternative. Sony NEX 7 is actually an old model, but its consistently high price makes people think that it holds a lot of value. On the other hand, Sony Alpha a6000 is a new model that is actually cheaper. On the following discussion, we are going to take a look at the advantages that the products have. Sony NEX 7 only has three advantages over Sony Alpha a6000. First, it has a faster startup (1.2s compared to 2.2s). With a faster startup, you won’t have to wait too long before using your camera, and you will be able to capture the brief perfect moment quickly. Second, it has a microphone port, so you can use it to record videos with high-quality audio performance. Third, it has a slightly better dynamic range so that it can deliver slightly better colors. Sony Alpha a6000 has a number of advantages over Sony NEX 7. First, it has a much higher maximum ISO (51200 vs. 16000) and a higher low-light ISO (1347 vs. 1016), so it can capture images with much better brightness accuracy. Second, it has more focus points (179 vs. 25), so it captures more details in the images. You will not lose sharpness in both the foreground and the background if needed. Third, it comes with a higher continuous shooting speed (11 fps vs. 10 fps), so it can perform better for snapping fast-paced actions. Fourth, Sony Alpha a6000 is lighter than Sony NEX 7, so it is less of a hindrance in your bag of pocket. Fifth, Sony Alpha a6000 has wireless connectivity while Sony NEX 7 does not. It comes with Wi-Fi for easy file transfer across various devices, and it is also given the NFC feature for quick and practical file sharing with compatible devices. 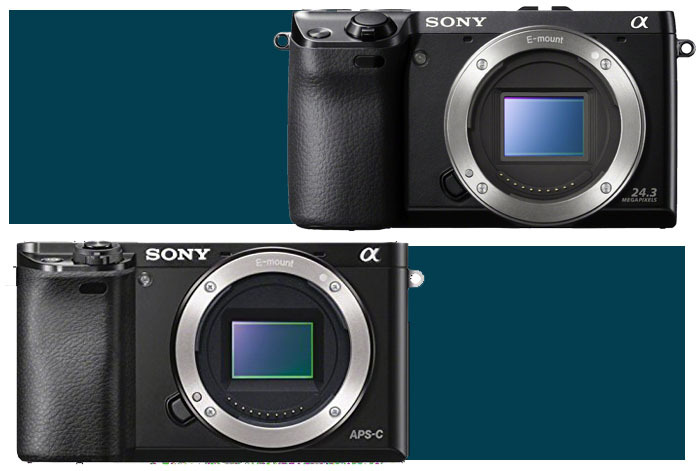 Ya, perhaps, you also want to see Sony Alpha a6000 vs a5000! Both models come with 24 MP image sensors, articulating screens, and similar display resolutions. Both have built-in flash. As Sony Alpha a6000 is cheaper yet coming with more advantages, we recommend you to choose Sony Alpha a6000 instead of Sony NEX 7. It can deliver much better performance and also image quality. If you really need the audio port, you can use a separate audio recorder device.